Founded Family property since 1874. Philippe Secondé, a direct descendant, took the helm in 1985. We appreciate the strength of the Barnaut Pinot Noirs which make possible vinous cuvées of beautiful maturity and energy. 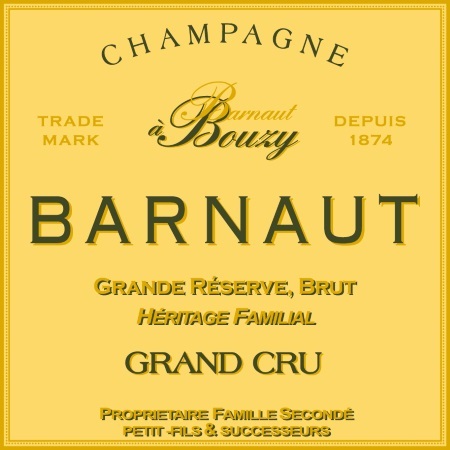 Edmond Barnaut was one of the first pioneers in Champagne to create his own brand outside of the controlling centers of power of Epernay and Reims. 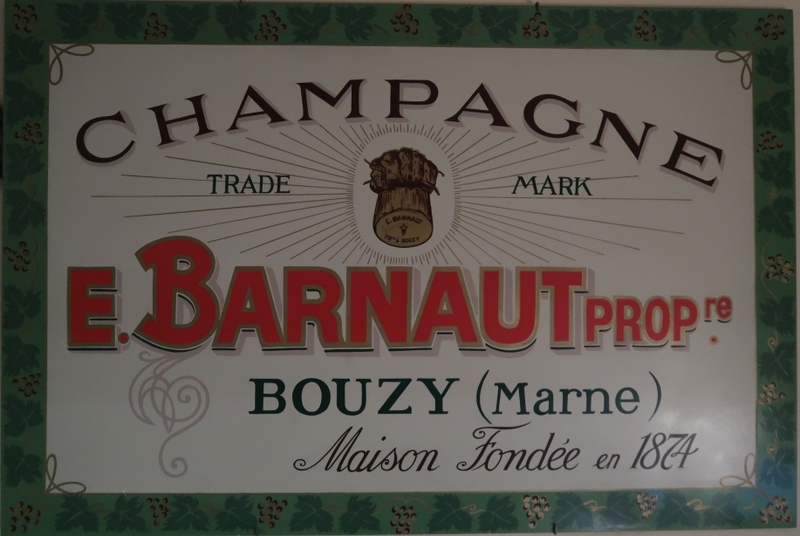 In 1874 he set up shop in Bouzy, where he owned vines and where he married Appoline Godmé-Barancourt (now there’s a name! ), heiress to additional vineyards in the village. Cellars were dug as deep as 15 meters underground, and the first cuvée made of two-thirds Pinot Noir and one-third Chardonnay was launched. And it’s still made today, under the Grande Réserve label, with its reserve wine coming from a perpetual cuvée begun by Edmond himself and maintained through five generations of Barnaut descendants. The one big change happened in the late 1950s into the early 1960s, and that was the transition from aging the perpetual cuvée in small barrels to steel tanks. 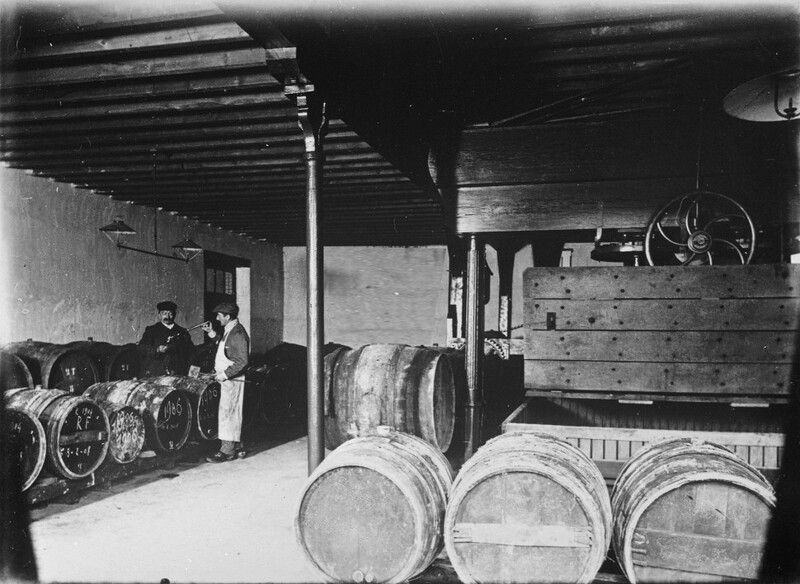 In that era, barrels were kept as long as possible and cleaning them was much more difficult than it is today, resulting in barrels coated in layers of tartaric crystals that effectively did away with any difference between barrels and tanks except in size. 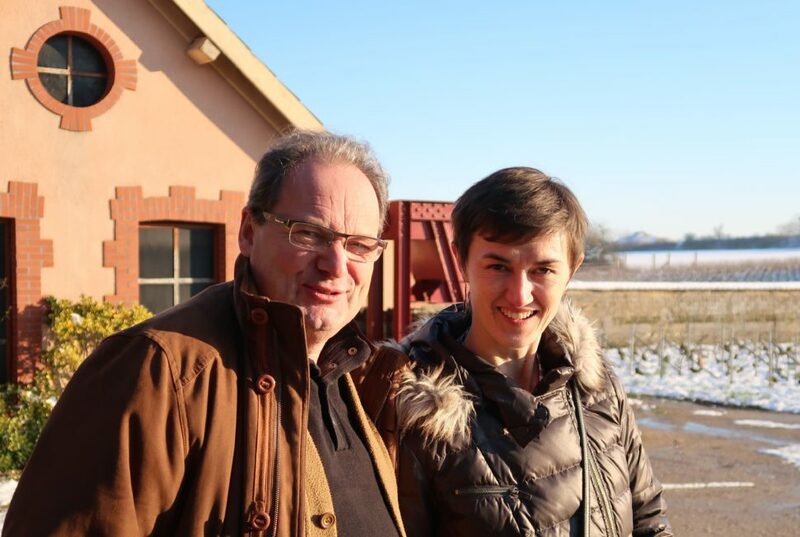 Philippe Secondé (above, with Alsace’s Mélanie Pfister of Domaine Pfister) is the current descendant and arguably one of the more important ones. He took over in 1985 and soon made a name for himself with his vinous Blanc de Noirs and his strikingly flavorful rosé. He significantly increased the domain’s vineyards, modernized its cellar, expanded production, and moved its viticulture footing to the quasi-organic lutte raisonnée structure (plowing between rows, using only organic composts, and minimalizing fungicide applications). Today Champagne Barnaut farms 11.27 hectares (28 acres) divided among 32 parcels in the grand cru vineyards of Bouzy, Ambonnay and Louvois. The latter two communes are adjacent to Bouzy and Barnaut’s holdings in them represent 5% of the domain’s grand cru totals. In addition, the domain farms 4.6 hectares (11 acres) in the Marne Valley and sells those grapes to the cooperative that makes the Nicolas Feuillatte brand, while saving some Chardonnay to make a Blanc de Blancs. Pinot Noir makes up a solid 80% of Barnaut’s production, with Chardonnay making up the rest. All fruit is selected on a sorting table. All the cuvées of wine undergo malolactic fermentation in stainless steel, and fifty percent of each year’s crop is saved as reserve wine. The white non-vintage wines spend at least 24 months on the lees before being disgorged, and rest for another three months before going to market. The vintage spends up to seven years on the lees, is made only in the best years, and represents only 3% of Philippe’s total production. From the beginning, he never wanted to take quality away from his NV wines. With its sister village of Ambonnay, Bouzy lays claim to having the finest vineyard sites for Pinot Noir in the appellation of Champagne. Bouzy’s vineyards begin at 103 meters above sea level and end at 268 meters. Its 923 acres of vines grow up the rolling foothills of the Montagne de Reims and face due south, ensuring the best possibility for ripening every year (Ambonnay’s vineyards, following the mountain, begin the turn to the southeast, thus on paper anyway have the potential for more elegance). The result is Champagne’s richest and fullest-bodied wines—the Latin counterpart to the Côte des Blancs’ Nordic austerity, if you will. 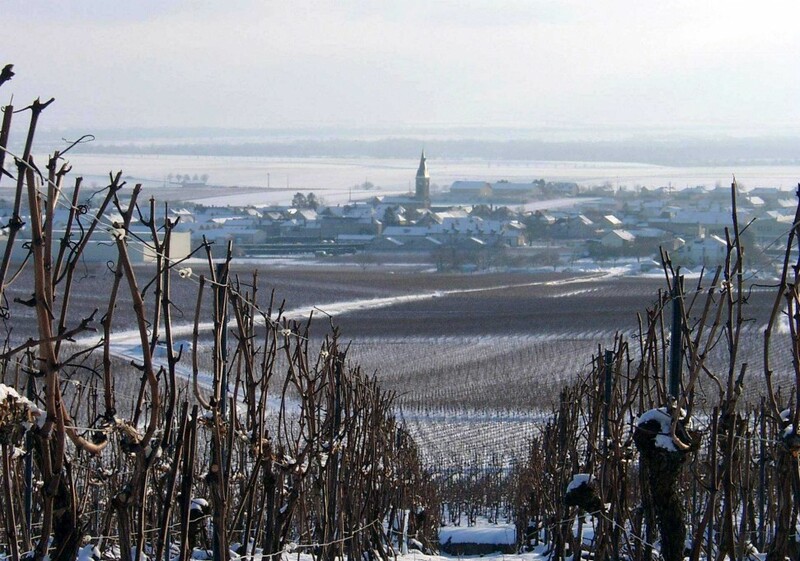 The Grandes Marques own nearly one-third of this grand cru commune’s vineyards. Barnaut’s annual production is roughly 8,300 12-pack cases. This is the original cuvée, and its reserve wine comes from the perpetual cuvée first begun by Edmond Barnaut in 1874 that has been drawn from and replenished every year since. As with all of his wines, Philippe looks to avoid heaviness while harnessing the inherent density and depth of fruit that Bouzy offers. The Grande Réserve represents 65% of the annual production. Dosage averages 6 g/l with a yearly production of 5,000 cases. Pinot Noir Philippe first made this wine in 1995 and quickly gained a reputation for burnishing the finesse in what is, given the grape and the terroir, an innately large- scale wine. His rendition stands in contrast to the single vineyard Blanc de Noirs made by his friend Francis Egly of Egly-Ouriet in Ambonnay, a contemporary who is also well known for this class of wine but whose style emphasizes the power and weight of the area's Pinot Noir. The dosage averages 6 g/l with a yearly production of 1,650 cases. 85-90% Pinot Noir with a bit of Chardonnay From the domain's ripest Pinot Noir. No dosage. 250 cases annually. Pinot Noir with 10-15% Bouzy Chardonnay Saignée method rosé. Powerfully and deliciously marked by Pinot Noir, this is a rosé Champagne made unapologetically for the table. It spends 18 months on the lees before disgorgement, the shortest length of time chez Barnaut in order to keep freshness at the forefront. The dosage averages 6 g/l with a yearly production of 1,250 cases. 50% Chardonnay, 50% Pinot Noir Made only in the great years. Dosage averages 6g/l.